The UFC Nashville bonuses, live gate and attendance have been released. The co-main event saw heavyweight action. Curtis Blaydes went one-on-one with Justin Willis. Going into the bout, Willis revved up the trash talk by calling Blaydes a boring fighter and claiming he showed “cowardice” in his bout with Mark Hunt. In the end, it was Blaydes who dominated the fight on his way to a unanimous decision win. Taking home a $50,000 bonus for “Performance of the Night” was Randa Markos. She submitted Angela Hill on the prelims. Bryce Mitchell and Bobby Moffett took home the “Fight of the Night” bonus. Mitchell won their bout via unanimous decision. As far as attendance is concerned, UFC officials announced that the event drew 10,863 fans. A live gate number came out to $939,095.99. 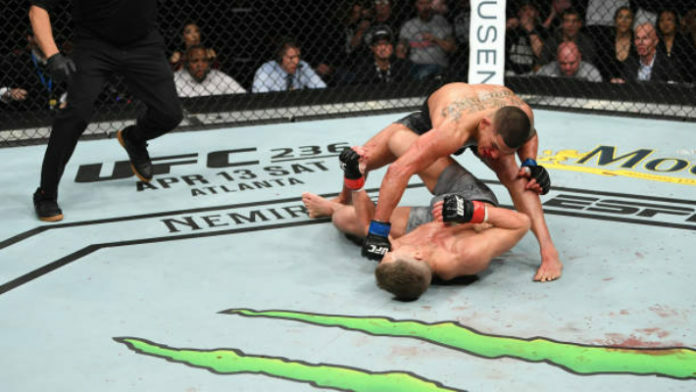 MMA News has you covered with results, highlights, and post-fight tidbits from UFC Nashville. Be sure to keep checking the homepage for the latest news. Were the right choices made for the UFC Nashville bonuses?